A lot of people have been complaining that no new cards have been made! Well, the wait is finally over because the cards for 2019 arrived earlier this week and are ready to sell! Those who are interested in buying cards, they are $1 each or 6 for $5. Also, for the first time, Kevin’s Cards has a new brochure that was created in my Graphic Arts Class at Laney College! 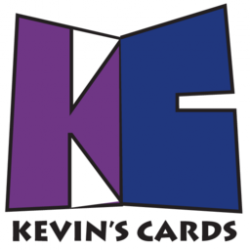 This will give more information about Kevin’s Cards, how it’s evolved, and see some best selling paintings! This will also be a great way to spread the word to new customers and will be displayed at future card sales and art shows! With all this stuff ready, I’m hoping to sell a lot more than the past few years! Today, I attended the 2018 San Francisco International Auto Show at the San Francisco’s Moscone Center to check out the new cars for 2019. All of them ranged from cars, pick-up trucks, SUV’s and everything in between, and the brands ranged from Ford, Chevorlet, Toyota, you name it. Even though I don’t have a driver’s license, I still enjoy sitting in the driver’s seat in nearly every car I sat in and imagined I owned that car. In addition to finding my favorite one, I looked for cars similar to other people’s, like my friend Sam’s Toyota Camry. If I were to pick my favorite car, it would be really difficult to decide because there’s a lot to choose from. However, my top choices would be either a Lexus GX or a pick-up truck from either Ford, Dodge, or Chevy, or Toyota, so I can carry lots of people if I’m driving. None of my paintings or cards have cars in them because their not that easy to paint. If they did, they would definitely have a spot and people will rave about it! Of course, this isn’t related to my art, it’s just an event I enjoy going to; and who knows, this can be a work of art! The uCamps 3rd Annual Alumni Camp was originally scheduled for this weekend at Camp Jack Hazard in Dardanelle, CA. However, it was postponed due to the Donell Fire that occurred in the area, which was a huge disappointment for a lot of former campers, counselors, and staff; especially to those who were planning to travel to California for the event! Luckily, camp director Doug Cembellin organized an alternative reunion to make up for lost time and to have a chance to reunite with everyone. The event took place at Sauced BBQ in Downtown Walnut Creek, which was a reasonable location for most people to get to. With the extremely hot weather that occurred, I thought that only a few people were going to show up or this event was going to be cancelled too. However, to my surprise, about 25 people were able to attend, which was something I didn’t expect at all. The alumni who attended ranged from old time campers and staff from 2003, to some newer ones as early as 2015, and everyone in between, and we basically caught up on things that’s been happening recently and of course sharing favorite camp memories. Of course, there was plenty of delicious BBQ to enjoy since it was a BBQ joint after all! Although Doug and some people from camp came to my last card sale at Artist Alley and bought cards from me, I didn’t get a chance to bring some leftovers to distribute. However, a few people have asked me about how the sale went overall. Following the dinner, a late night “campfire” took place at Civic Park, which was a short walk from the restaurant, and a majority of the performances were people who played on the guitar. However, the one crazy moment was that Doug and several others requested for me to do my hypnotist shows, as I’ve been doing in the past at camp since 2012. I totally didn’t expect to do it in the first place since I wasn’t prepared at all, but I had to do it anyway! Of course, it was enjoyable! Overall, this was definitely one of the best camp reunions I’ve ever attended! Even though we weren’t at Camp Jack Hazard in the great outdoors, it was definitely worth it because it doesn’t matter where the reunion takes place! What matters the most is that this event is about spending time together! Special thanks to Doug Cembellin for organizing the event, and to everyone that attended! It was great seeing you guys and I look forward to reuniting with you soon and hopefully we’ll get a chance to be at the actual camp in the Summer of 2019! Today, I spent the day in San Francisco with my friends Justin and Anthony. This was the first time we’ve hung out in a while and every moment of it was well worth it. One of the main reasons was that they wanted to buy the Jimmy Garrapollo’s San Francisco 49ers jersey after being signed to a 5 year deal of over $2,500,000. Plus, he helped turned their season around after an 0-9 start, finishing their record at 6-10 with a 5-0 record as a starter. They bought the jerseys at the NFL Pro Shop at Pier 39. Even though it was over $100, it was well worth it! This pro shop is definitely one of my favorite stores because they have a collection of items for everyone’s favorite teams, from NFL, to MLB, NCCA, and everything in between. Even though I didn’t buy a jersey, I did get a lot of inspiration for future poster designs in the sports category. Although I have started a few, the jersey colors, helmets, and team logos provided me with more creativity at what can be done, especially with A House Divided, which will probably take the longest to create because of all the teams I have to do. Aside from the jerseys, we also went through Fisherman’s Wharf, Ghiradelli Square, Chinatown, Union Square, and my local hang out spot, the Westfield Shopping Center inside the Powell Street BART Station. Of course, those two bought a lot of stuff from team caps, to a sword, a knife, and other things I couldn’t keep track of! Even though I have been going to San Francisco alone, I feel that sometimes it’s more fun to go with friends because you’ll always have someone to hang out with and you’ll create lasting memories! Who knows where our next destination will take place! Maybe I’ll even take them to some of the art festivals or flea markets I plan to go to! Over the past three weeks, I’ve been using the Adobe apps on the computer to create some posters while learning how to use the tools on Illustrator and Photoshop at the same time. As the weeks go on, I plan to create more of these posters while developing the skills. For those who are wondering why I am creating these posters, the sports posters are for my interests in sports and it’s fun seeing rivals face off against each other. As for the rest, they brought back childhood memories and I’d like to relive some of those good times so other people could remember how great a lot of these treasures were. I hope to complete these projects so I can upload them on the website and maybe display them during the Alameda County Fair this summer, along with my paintings and greeting cards! All it takes to complete is lots of research, inspiration, and creativity! You may not believe it, but this month marks the one year anniversary of Kevin’s Cards. Although it might seem that it’s the anniversary of the website, it’s actually the anniversary of the actual cards because the website wasn’t ready until June of this year. During that time, I only had a limited amount of cards and it was based off the God Bless painting after the death of my grandfather, Honesto Tria. Since then, my paintings from the past three years have been made into custom-made cards and a majority of them have been pretty popular. As 2017 comes to a close and going into 2018, I’ll continue to use the previous designs and also add new ones as well so they can sell like hotcakes! In addition, all of the new cards will have the new logo instead of my actual photo. With the addition of my new business cards, people can now find my website and also contact me if they plan to purchase more cards to share with their friends and relatives. Let’s hope that these future cards and the future sales continue to make Kevin’s Cards a success! Yesterday, my best friend Sam and I attended the 60th Annual San Francisco International Auto Show at the Moscone Center. Although it may not be related to my art or cards, it’s been a tradition that I’ve been going to ever since my brother has been interested in cars when he was younger, and I’ve caught on as well. Sam and I sat in nearly every 2018 model to see what was our favorite and which one we plan on driving. Out of all the cars we saw, Sam’s favorites were the Toyota Tacoma, Tundra, and 4Runner, along with the Lexus GS, IS, and RCF. As for me, my favorites were the Lexus G460, Volvo V90, and pick-up trucks by Ford and Chevrolet. The highlight of the show for the both of us was that a lot of them had new car smell because it made us feel like we might want to drive it ourselves. Plus, new car smell is one of my favorite scents of all time. I may not paint pictures of cars because they may take a long time and it probably wouldn’t turn out right. However, I may use the car logos in future poster designs since they do interest me in a way. I’ll definitely return to International Auto Shows like this one because you’ll never know what kind of car could interest you the most! Today marks the 16th anniversary of the 9/11 attacks in New York City. In addition to that, Hurricanes Harvey and Irma devastated Houston, Texas and the Florida Coast. To those who have lost their lives and those who have survived, but currently struggling, my thoughts and prayers! Please be safe out there and let’s work together to get their communities put back together again! I know I haven’t posted anything in a while, but I’ve been off for a while due to personal things going on. However, I do want to mention that I returned to uCamps for the second annual alumni camp at Camp Sempervirens in Boulder Creek. Coming back to camp was like bringing back old memories and seeing people I haven’t seen in years. Of course, I sent them cards along with paintings that looked like camp. Camp director, Blake referred to them as post cards, but it doesn’t matter how you look at them. Now I’m back at Laney College for another semester doing more paintings and studying graphic arts so I can further develop this website. 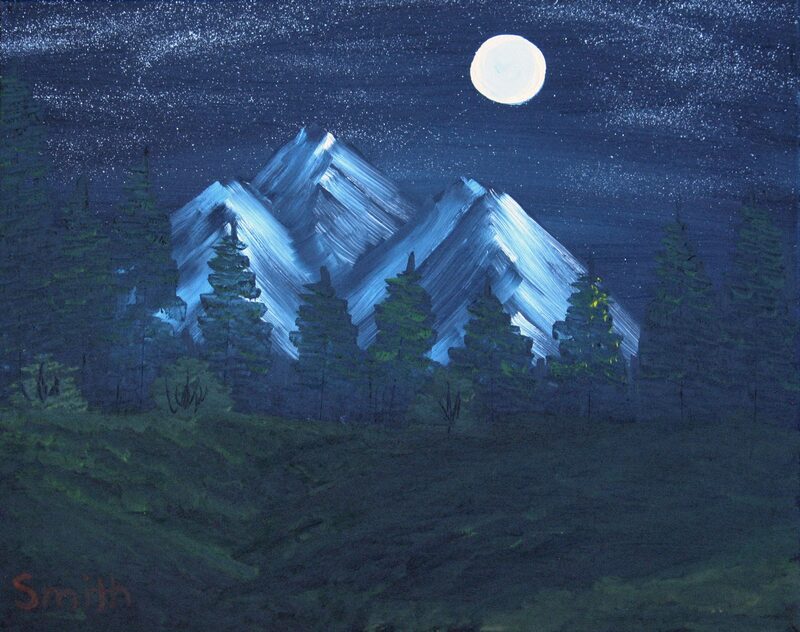 Hopefully, I’ll start creating new designs for future greeting cards and a possible business card.